Nishiawakura Village from Japan has issued an announcement in which it states its plans for launching its own ICO. The ICO will come as part of the village's plan to make itself sustainable, and will mark the first time that a settlement from Japan will raise fund through a token sale. The village of Japan, called Nishiawakura Village, which is located in Okayama Prefecture of Honshu island will be the first village in this country to launch an ICO in order to raise funds for its own sustainability. The Okayama Prefecture is known for various cultural monuments, like feudal castles, as well as art museums. It is also home to many rural landscapes, and has over 95% of its area under vast forests. The village itself is quite small, and it only numbers around 1,500 individuals. Another thing that it became known for, is its habit of taking unusual steps, especially for such a small settlement. One example of this came in the early 2000s when it refused to join Mimasaka City. Its motivation for the refusal to merge was the village's wish to stay independent from an economic point of view. That wish is now continued, and is a large part of the decision to launch a regional ICO, issued by the local government. The official announcement issued by the village states that their goal is to introduce a fundraising via ICO in order to ensure the creation of a sustainable region. 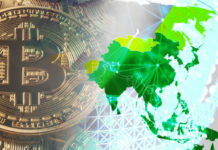 Basically, this means that they wish to create new means for smaller governments within Japan, which would be capable of securing the financial resources, so that these regions would be able to build up via token issuance, upfront investments, as well as the creation of their own digital currencies. All the funds that the village manages to gain through this ICO will be used for carrying out further business development in collaboration with the village itself. NAC, or Nishiawakura Coin, will be the village's own token. The coin will be issued by a newly-formed association called NVTEA (Nishiawakura Village Token Economy Association). 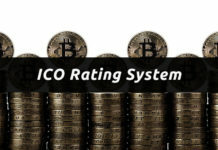 The coins are expected to carry rights to vote, which would allow token holders to participate in making various important decisions regarding the local ventures. The association was established recently, in April of this year, and it is made up of 16 digital currency exchanges that are government-approved. The village will advance in accordance with the revised fund settlement law, which Japan introduced last year. Basically, this is the law that makes cryptocurrencies an acceptable method of payment in this country. The biggest question now is whether this ICO will be a success, and what are the possible consequences of it. If it does succeed, it will quite possibly inspire other municipalities to make the similar decision, and it might even provide a roadmap for others to follow.